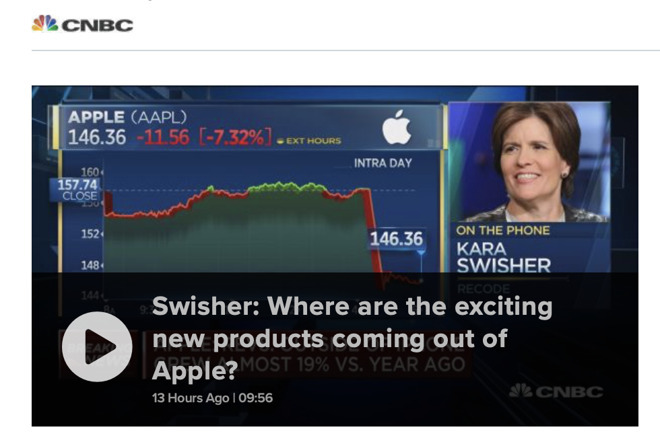 While Apple's critics are scrambling to portray its restatement of guidance as some sort of evidence of a "lack of innovation" or "pricing that's too high," the reality is that it's simply evidence that President Trump's tariff war on China has hurt a key Apple market. Apple has never been better positioned—and its competition is now performing so badly that any one of them would love to be in Apple's shoes. So far, every Android or Windows hardware maker —including Google and Microsoft —has demonstrated they are completely inept at making money in selling hardware even during an economic boom. It's not going to be easier in a recession! 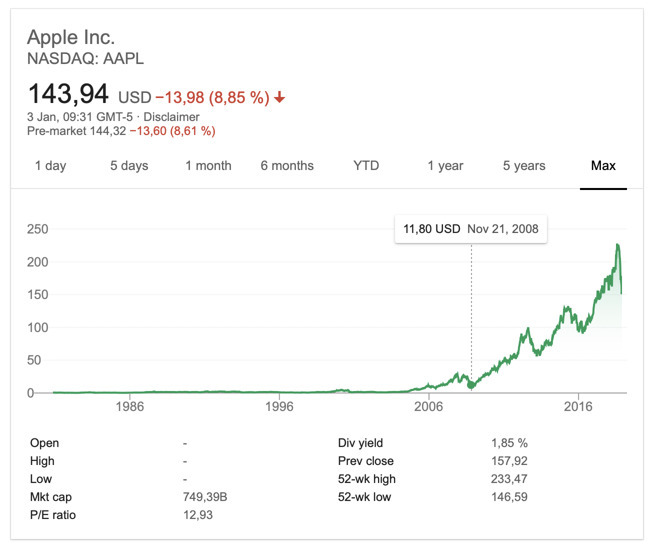 Apple has proven it can successfully make money no matter what conditions it is exposed to, meaning that it can invest its boom resources into building out of a global retraction. Apple's restatement of guidance dropped its revenue outlook for the December quarter by 5.6 to 9.7 percent from the range it had provided earlier. Apple's global revenues are so large that even a drop of $5 to $9 billion is a still single digit percentage—and will occur without significantly dinging Apple's profit margins. In fact, due to its inherent profitability from tight operational expertise and its strategic share buybacks, Apple noted that "we expect to report a new all-time record for Apple's earnings per share" despite the drop in forecasted revenues. 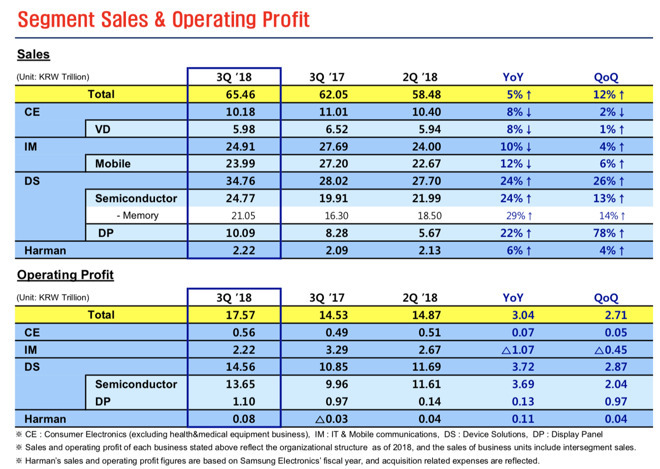 That's a marked difference from other major smartphone producers, who have seen their revenues collapse as buyers shift downmarket to lower end models, erasing their profits entirely. Apple remains the top high-end seller in China —and globally —servicing the vast majority of demand for high-end smartphones and taking away virtually all of the profits earned industry-wide. While iPhone revenues are taking a hit from the tariff-induced economic slowdown occurring in China, iPhone sales are still expanding Apple's installed base. In fact, Apple's note to investors stated that "our installed base of active devices hit a new all-time high—growing by more than 100 million units in 12 months. There are more Apple devices being used than ever before, and it's a testament to the ongoing loyalty, satisfaction and engagement of our customers." And while a huge slice of Apple's business comes from iPhones—the segment that is hurting from the economic tariff casualty in China—the rest of Apple's sales are actually continuing to grow significantly. Services sold to the vast installed base of iPhone users, along with Macs, iPads, Wearables and other accessories are collectively up 19 percent over the previous year. The prospect of "Peak iPhone"—the idea that Apple is running out of people to sell its signature iPhones to—has been bandied about for years. At some point it was clear that the company would have to expand beyond just selling iPhones if it wanted to keep growing its revenues and profits. Apple is now taking virtually all of the industry's available profits—largely by creating a new ultra-premium class of iPhones and effectively selling it to buyers. At this point, the options left include selling those users new products and services. 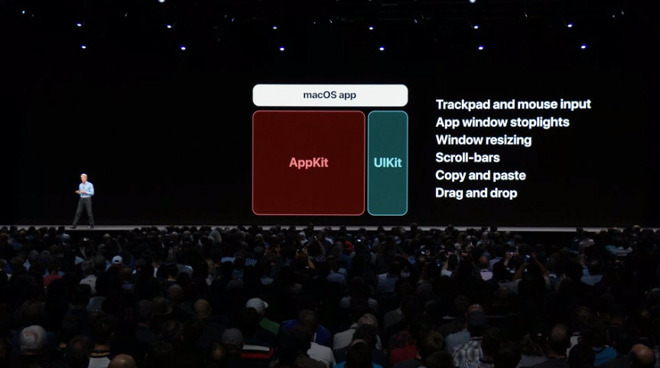 And that's something that Apple has been excelling at doing even as its apparent competitors fall all over themselves in failure despite desperate efforts to copy the surface of what Apple is doing. Apple is also innovating in immersive wireless audio with AirPods—the perfect pairing with Apple Watch. It's also creating new reasons for people to desire and buy a conventional Mac notebook or desktop—a technology platform dating back into the 1990s and even earlier, but kept fresh as a way to develop interactive digital content for today's mass market of mobile users on iPhones, iPads, Macs and other development targets. Beyond hardware and software, Apple has also invested in custom silicon design, starting with mobile CPUs and branching into graphics, neural net machine learning logic, custom storage controllers, and advanced imaging processing—all of which are radically expensive and difficult for competitors to keep up in. Google has invested vast sums into ISP silicon making its Pixel phone a great camera, but it can't match Apple's ISP in video capture, and isn't selling sufficient volumes of Pixel devices that can fund the next few generations of image silicon advances. Apple is selling cameras—it's now the most popular—and advanced—camera vendor on the planet, a fact that few have even noticed. Qualcomm is still ahead of Apple in modem technology, but that advantage is increasingly worthless as consumers can't see any real difference between gigabit chips and 1.2 gigabit chips when the fastest mobile networks run at real-world speeds well below 100 megabits. Everywhere else, Qualcomm—once comfortably positioned as a leader in mobile chips—is now finding itself both more than a year behind Apple in CPU and graphics and imaging and machine learning, and also increasingly running out of component buyers of its premium chips for high-end phones on non-iOS platforms, simply because there is scant demand for high-end Androids. Huawei and other Android makers are now working to develop their own internal chips, but these are also significantly behind Apple's work in advancing the state of the art. And the primary reason is that Apple has been selling virtually all of the high-end devices that make money and create a demand for even faster chips in the future. 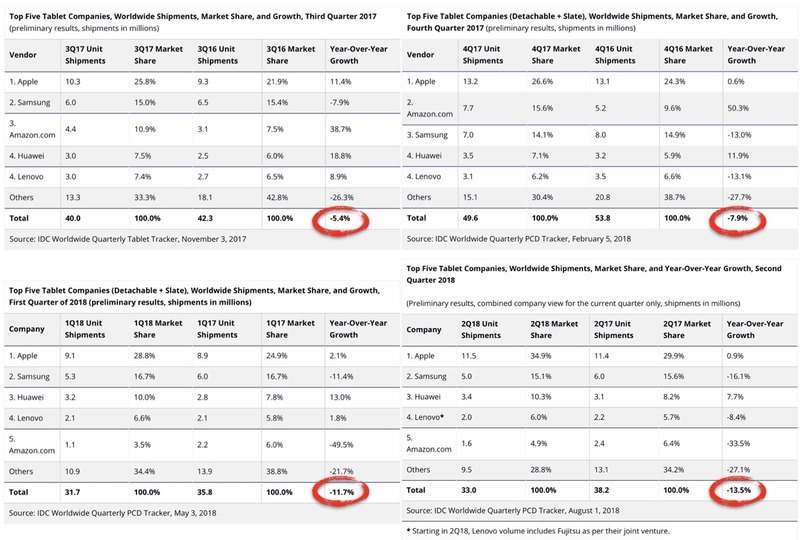 Not just smartphones, but critically also high-end tablets—a market Apple has effectively owned since it launched iPad a decade ago. Certainly not enterprise buyers—who have been investing in iOS tablets while the tech media scribbled up their fascination with cheap Google netbooks being dumped on K12 schools, an economic miracle about as efficacious as handing everyone a cheap fish. Despite Apple's broad and deep success that has only been diminished by a global assault on trade and a full-on tariff war between its two largest markets—and an explicit explanation detailing exactly why Apple has restated its revenues forecast for the December quarter—tech media writers still seem to be completely confused about what's going on.